Elaine has a B.A. in Liberal Studies from Virginia Wesleyan College and a Master's degree in Education Counseling from Norfolk State University. She has worked at Virginia Wesleyan College since 1988, first as a secretary and now as the Assistant Director of Business Operations. Her favorite part of the job is working with wonderful staff, faculty and students. 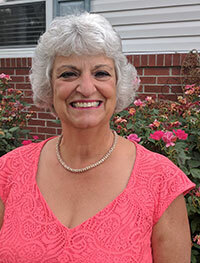 Elaine is a native of Virginia Beach and married John Aird in the College Chapel. They have two charming sons and are blessed with two delightful grandchildren. Besides reading, Elaine's passion is yard sale shopping with her Mom and camping trips with John.